I think I blinked and two years went by in an instant! 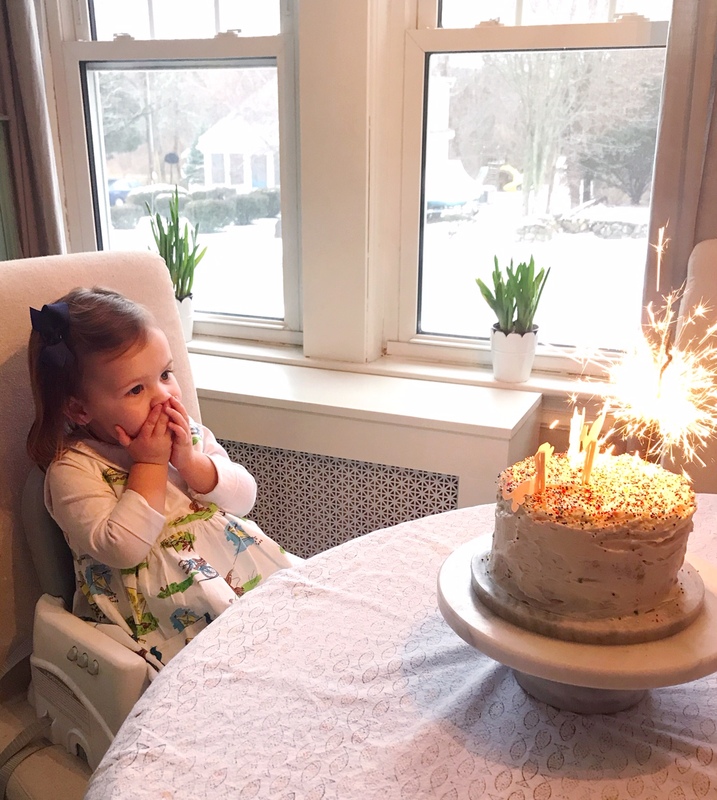 Jane turned 2-years old this weekend and I’m still processing just how it’s possible that time could fly that quickly. 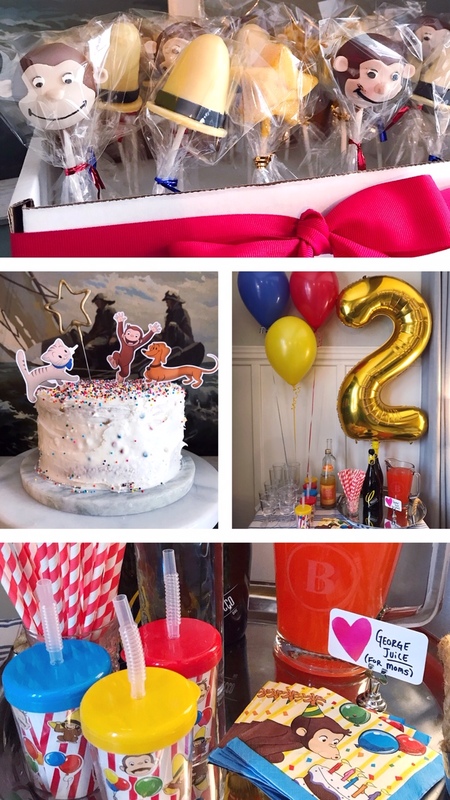 We celebrated with a little party — Curious George themed because she’s Georgie-obsessed. The snowstorm cut our guest list in half, but we had a great time despite the weather. 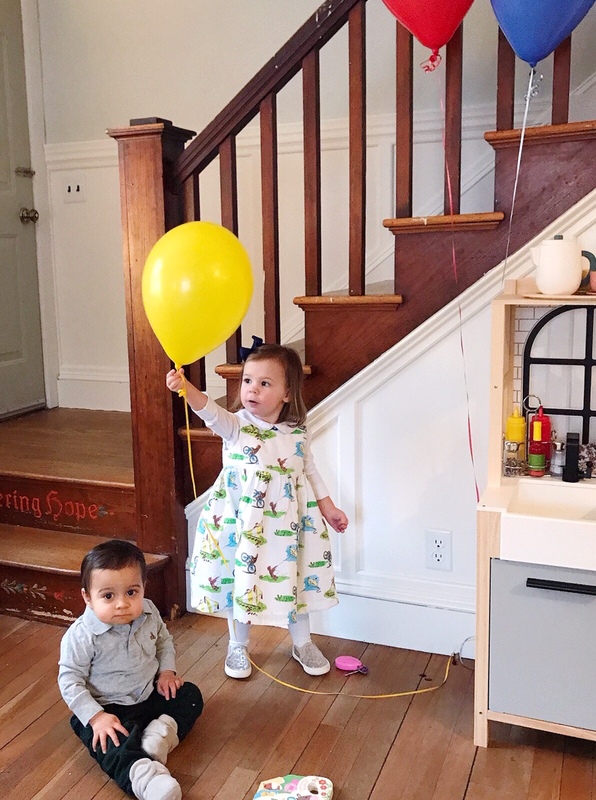 Jane loved the balloons, and is still running around the house in circles with them trailing behind her. 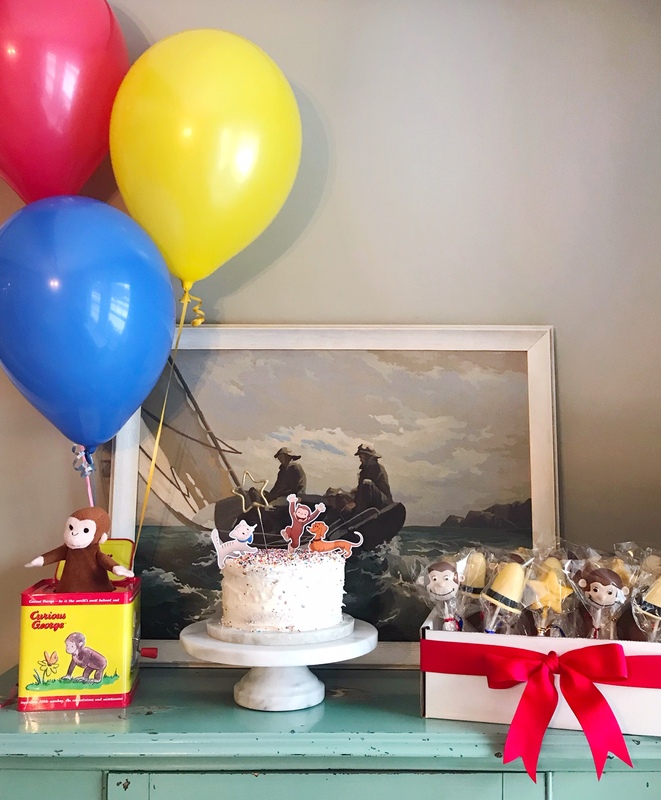 My sister brought the most amazing cake-pops that matched the Curious George theme, my mom made her a beautiful party dress, and we had a little homemade cake with a sparkler on top. The sparkler left Jane in total awe and amazement when it was lit. 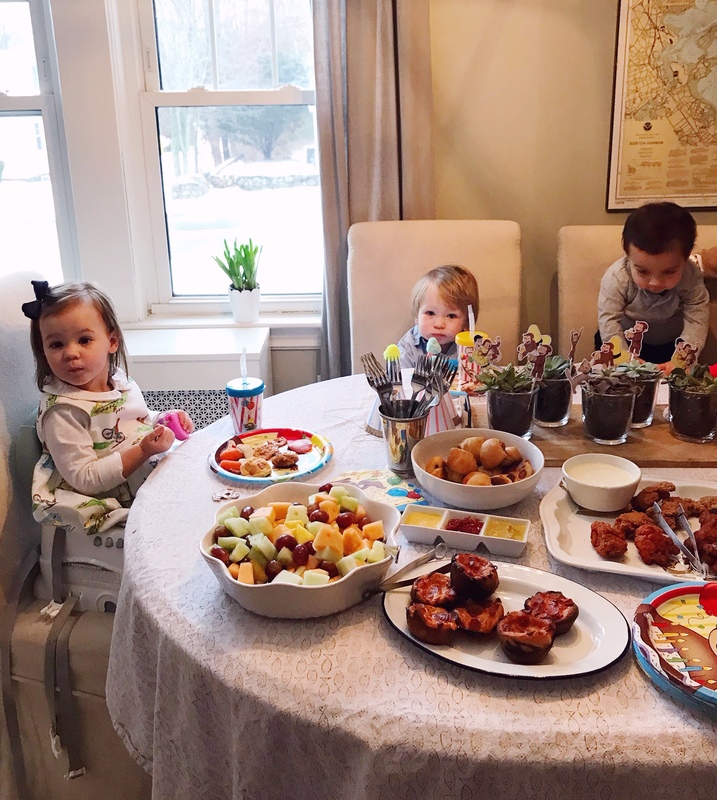 It was a perfect cozy day to celebrate our Janie-bean!